When God said He created everything in order that He did according to the Genesis 1 account then all those events occurred as the Bible describes on those consecutive 24-hour days about 6000 years ago. Lisle proposal is that those events were timed when the light first arrived, or when a hypothetical Earth-bound observer might have first observed them happening. And the main issue is the creation of the stars and galaxies, some of which lay tens of billions of light-years distant. So if we only consider the language of appearance, the light from those galaxies, and all stars, first arrived sometime during Day 4 of Creation week. Therefore travelling at constant speed of light (c), which means light travels 1 light-year per year, then it would have taken billions of years to get to Earth. Therefore such a view of the universe requires that all galaxies were created at a time long before God created the Earth on Day 1 of creation week. But this is just language of appearance. A constant speed of light (c) assumes a certain convention of synchronizing clocks. We could equally have chosen another convention that simply times all events when they are observed. So when the light of the ‘newly’ created stars and galaxies arrives at the Earth on Day 4, it is truly the first light from the creation of those galaxies. In my view, the only question to answer with this model is: Is it compatible with Scripture? The following verse is the main test. The days must be 6 ordinary 24-hour earth rotation days. 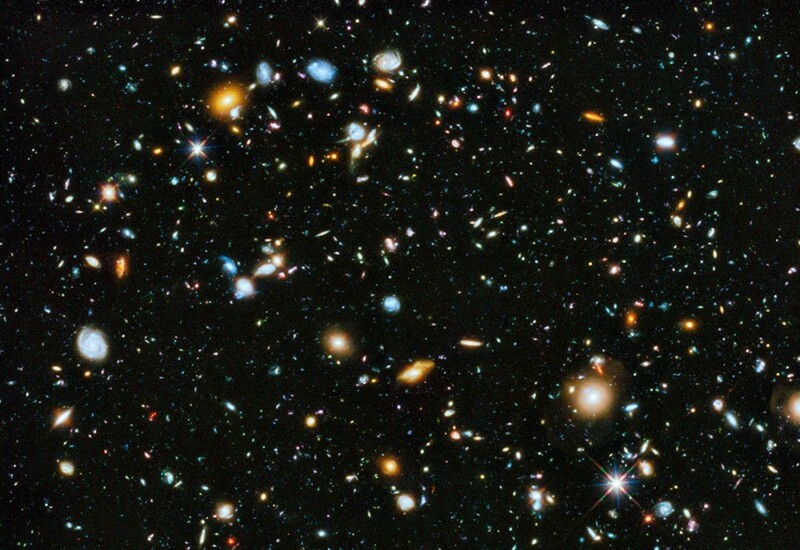 If we then suppose God made the universe we see now, only 6000 years ago, measured from when the light first arrived, then even though the light from the most distant galaxies took billions of earth years to arrive here, the light represents the state of those sources when it left. Hence we can say a young universe as time-stamped by when the light first arrived. Based on that timing convention the universe is only approximately 6000 years old, not 13.8 billion years old. That universe does not need to be stable, nor in any sort of equilibrium condition, as it only needs to remain long enough for God purposes. It may not be expanding; it could be even static or quasi-static. There is no reason to force an expanding universe on the Scriptures. Also I speculated that the redshifted galaxy light we see from distant galaxies could be due to a condition of that special creation. I now place this model at the top of my list even ahead of my own time-dilation model. The Lisle’s model has a lot of potential to solve vexing physics problems in the cosmos, and it does not have a starlight-travel-time problem. But I have not totally given up on my own model. It has several difficult problems and I am working to try to resolve those. See An update: Correspondence on cosmology. But please read through the articles listed below in the numbered order.